Qualcomm and Samsung look to establish 5G leadership. Qualcomm has revealed it is working with Samsung on 5G small cell products as both companies continue their drive to be leaders in next generation network infrastructure. The first 5G networks have already gone live in the US, offering Fixed Wireless Access (FWA) broadband services to a number of major cities. However, wider adoption is set to start next year when 5G is switched on in more countries and the first compatible handsets are released. 5G networks promise gigabit speeds, high capacity and ultra-low latency, enabling faster mobile broadband and a new wave of applications. A mixture of high range and low range spectrum will be used to power 5G services. High range spectrum in the sub-6Ghz and millimetre Wave (mmWave) bands offers huge increases in capacity, but it lacks the range and the propagation characteristics to ensure adequate indoor coverage. This means mobile operators will have to densify their networks using small cells and other microarchitecture. Samsung, which is investing significantly in networking equipment to offset falling device demand, will use Qualcomm’s FSM100xx 10nm 5G technology in its small cell platform, so it can use both types of high range spectrum to improve throughput and capacity. Separately, Qualcomm has also detailed the smallest entry into its QTM502 5G NR mmWave antenna module family. The new module is 25 per cent smaller than the previous generation and up to four can be arrayed in a smartphone, enabling beam forming, beam steering, and beam tracking technologies which improve the reliability of mmWave signals. Up to four can be arrayed in a smartphone, with Qualcomm arguing the smaller design allows for more freedom and flexibility with design. Finally, Qualcomm has completed the first standards-compliant 5G over the air (OTA) call on sub-6GHz spectrum. The call, which took place on the 3.5GHz band at Ericsson’s Stockholm lab, builds on previous calls on the 28GHz and 3.9GHz bands in September. 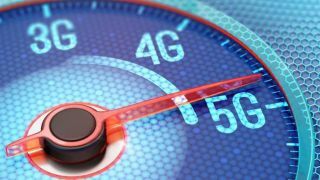 “Today’s call marks a significant milestone as we have now successfully made 3GPP-compliant calls in the sub-6 GHz and mmWave spectrum bands, which will facilitate mobile operators’ deployment of their 5G NR networks,” explained Durga Malladi, head of engineering and general manager, o 4G/5G at Qualcomm.